Technology Is the New Risk in Clinical Trials? Nowadays, you really can’t get around technology anymore. As we’ll be talking a lot more about governance and oversight in clinical trials the upcoming months, we asked ourselves if technology is revolutionising clinical trials or, on the other hand, brings new risks to it? To get more expert insight on this topic, we turned to Julianne Hull, CEO of WenStar Enterprises, to tell us what she thinks about it. As a sponsor we have thorough selection procedures for our service providers. We have established very clear needs, expectations, metrics and priorities for our clinical trials. We Sponsors know exactly what we want and expect our CROs to deliver. We will use the CROs contracted in technology, their Clinical Trial management system, their Electronic Data Capture system their IXRS system. We may use their electronic Trial Master File. This is just part of what we expect as Sponsors when doing Full Service Outsourcing. As sponsors, we will plan our Oversight of the CROs. We will have an Oversight plan, a Clinical Monitoring Plan, a Risk Based Monitoring plan, a Data Management Plan, a Safety Plan another plan, another plan and another plan…. We will have so many plans because documentation is required as our evidence for when we are inspected. Do we use and follow these plans? That’s for another blog, I think! What do we consider is the Sponsors role for technology? Do we spend much time thinking about this? Do we spend any time thinking about the technology the CROs use on our behalf? If we decide to have our own technology we will audit the providers, ask to see their system life-cycle documentation. We will probably have a ‘System Owner’ to take leadership responsibility for the system. When we outsource through CROs do we consider ‘Technology’ a third party contracted by the CROs? Do the CROS consider the ‘Technology’ something they need to provide Sponsors with full transparency? Well, the CROs must have it right; Why as a sponsor do we have to do anything? The CROs are providing the technology as part of their service, right? If the CROs subcontract to another service provider on our behalf we will perform due diligence. What do we do when we use the CROs subcontracted technology? Do we review the CROs selection of technology SOP? Do they have one? Do we review the audits performed by the CROs on the technology provider? Do we question the CROs system owner? Do the CROs all have system owners? Do we know? Do we understand the pros and cons of the technology? Do we understand any constraints related to use the technology? Do we understand how the information from the technology is provider to us, what is the source of the information and how current is it? Do we know if the technology is a pass through cost only – or are there additional costs added on by the CRO? Technology provides us so much – and is central to GCP – data integrity. Operational integrity, making our plans work, assisting with centralised and risk based monitoring. Technology enables us to ensure Quality by design is implemented. Do we Sponsors understand the technology our service providers are using on our behalf? 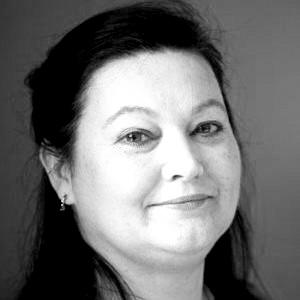 With 30 years’ experience in clinical development, Julianne has successfully held global leadership roles in Vendor Management/ Outsourcing, Clinical Data Management and Clinical Operations for several large and medium sized pharmaceutical companies (Pfizer, Wyeth, Marion Merrell Dow and Biogen Idec). In these roles she has been an accomplished manager and motivator of staff based in China, India, Japan, Europe and US. Julianne received a DIA award for service to the pharmaceutical industry. Julianne is also an honorary life member of the ACDM. Julianne is currently CEO of WenStar Enterprises a company she formed to provide training and consultancy to the pharmaceutical industry. to be inspection ready at any time. ICH-GCP E6(R2) – The time is ticking…Are you inspection ready? If you want to find out how we can help you implementing thorough governance and oversight process and procedures in your clinical trials, get in touch with us.